On November 19, the Center for Combating Extremism in Adygea summoned the editor-in-chief of the Natpress news agency, Aslan Shazzo, for a talk. Shazzo recounted what transpired during his talk with the police officials, providing a rare glimpse into the mechanisms Russian officials use to suppress Circassian activists. According to Shazzo, the talk concerned recent appeals made by Circassian activists to foreign governments, asking them to recognize the Circassian “genocide” by Russia. The conversation lasted several hours and the official he spoke to was largely polite and respectful, Shazzo wrote: “However, some provocative questions still may happen. For example, they might ask: ‘Do you support NATO’s [North Atlantic Treaty Organization] actions against Russia?’ I respond to the question that I am more concerned with the actions of Russia. ‘In the end, I say, not NATO, but Russia will decide the fate of the recognition of the Circassian “genocide.” I do condemn Russia’s actions in Ukraine and Crimea though.” Shazzo reportedly contrasted the previous Russian government to the current Russian government under Putin, telling the police official that Putin’s Russia had clearly become hostile to the Circassians (natpressru.info, November 21). Against the backdrop of the deteriorating relations between Russia and the West caused by Russia’s military invasion in Ukraine, Circassian activists started to ask governments opposed to Russia to recognize the Circassian “genocide.” Following the conquest of the Caucasus by the Russian Empire in the 19th century, an estimated 90 percent of the Circassian population was deported from their homeland to the Ottoman Empire. 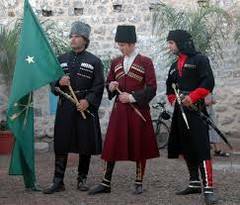 Many Circassians were starved to death or eliminated in other ways by Russian forces. Moscow’s desire to have access to the strategically important Black Sea coast at the time motivated Russia’s scorched earth tactics in relation to the Circassians, who occupied the coastal areas. The most recent appeal was made on November 11, when 52 Circassian activists from 10 countries, including Russia, called on Poland’s leadership to recognize the Circassian “genocide.” The appeal provided past examples of Polish activists helping the Circassian cause and, citing shared experiences, called on the Polish government to recognize the Circassian “genocide” (natpressru.info, November 11). In May and June, Circassian activists called on the government of Ukraine to recognize the Circassian “genocide” (cherkessia.net, June 20). The Russian government’s response to the challenge by the Circassians activists has been to take repressive measures against them. For example, a group of activists organized a peaceful protest action on February 7, the opening day of the Sochi Olympics, and the government has continued to take repressive actions against those activists since then. One of the leaders of the protest, Andzor Akhokhov, was not only beaten up and tortured, but persecuted after that for speaking out about his mistreatment by the police (avrom-caucasus.livejournal.com, November 26). The police went as far as falsifying the evidence against him. According to the apparently fabricated evidence, Akhokhov withdrew his allegations of police abuse. In fact, Akhokhov publicized an assessment of his physical condition made by independent medical experts after he was released from police detention. The experts concluded the activist had multiple signs of beatings (voanews.com, November 27). On November 25, a board member of the Federation of Caucasian Associations, Erdogan Boz, was denied entry to Russia at Mineralnye Vody Airport in Stavropol region. The Circassian activist was on his way to Karachaevo-Cherkessia, where he planned to take part in a linguistic conference. The reasons he was denied entry remained unclear, but Circassian activists noted that the Russian government has pursued extremely restrictive policies toward not only Circassian activists, but even Circassian businesses from Turkey that could have helped to improve the dire economic situation in the region (natpressru.info, November 26). Ironically, Boz is a member of Kaffed, the Federation of Caucasian Associations of Turkey, which is a fairly Moscow-friendly organization, although it has become more critical of the Russian policies recently. Kabardino-Balkarian rights activist Valery Khatazhukov was questioned on his way to Turkey and back for unknown reasons, even though he is on good terms with the Kabardino-Balkarian government (facebook.com, December 1). The Russian government’s coordinated effort to contain Circassian activism sometimes takes peculiar forms. In one instance, the government apparently took over a website that reported on Circassian related topics, natpress.info. Now, the website states in the worst traditions of the Soviet era: “The Agency NatPress again apologizes [to the audience] due to the fact that the former editor Aslan Shazzo tries to interfere in the activities of the resource. People like Shazzo, Abregov, Kidakoeva [Circassian activists] and other little-known personalities in Adygea, push the Circassian people to a state of ‘contemporary Ukraine.’ We want the Circassians to see the consequences of democratization the American way. Shazzo, Abregov and the like have earned refugee status in America and are ready to escape there at any time. We are not going to leave our homeland and [we] reject all sorts of insinuations and provocations of these renegades” (natpress.info, August 2). The independent editor-in-chief of the website, Aslan Shazzo had to create another website, called now natpressru.info, which was cited earlier in this article. Despite playing down the influence of independent Circassian activists, the takeover of their website indicates that the Russian government is aware of the importance of their activities and the receptiveness of the Circassian audience to their statements. The Russian government, therefore, is taking preventive measures to stall the Circassian movement’s development. However, these processes are continuing despite Moscow’s efforts and will manifest themselves strongly as soon as the political regime in Russia softens.